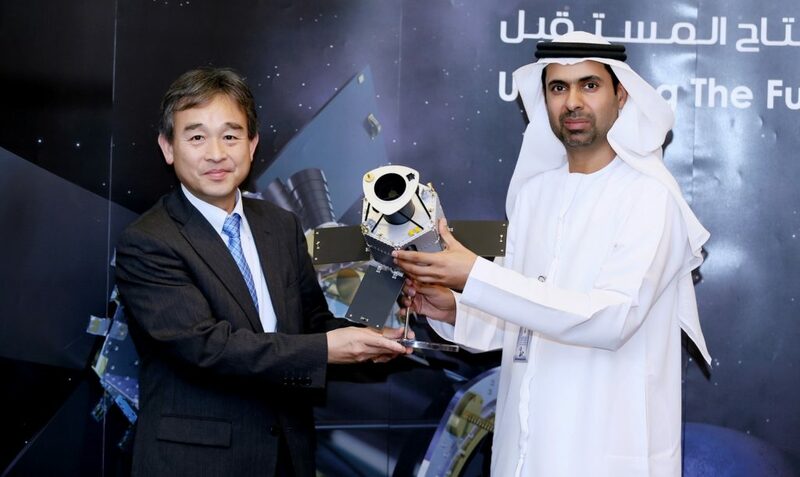 [Via Satellite 03-09-2015] The Emirati Institution for Advanced Science and Technology (EIAST) has selected the H2A rocket from Mitsubishi Heavy Industries to launch its third large satellite, KhalifaSat. The satellite will launch with the Japanese Aerospace Exploration Agency’s (JAXA’s) GOSAT 2 environmental research satellite. 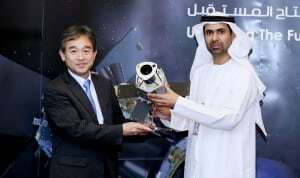 KhalifaSat is nearly complete, leveraging knowledge gained from DubaiSat 1 and DubaiSat 2. The satellite, along with its two predecessors was collaboratively developed through a long-term partnership with South Korea’s Satrec Initiative. “From conceptualization to its actual launch, KhalifaSat is a very important project that will have a huge impact not only on the future of space technology in the region but also on the overall national development of the UAE. Looking back on MHI’s past projects, and especially its achievements with the high-performance H2A launch vehicle, we are assured of a successful and lasting collaboration with a company with one of the world’s highest launch success rates,” said H.E. Yousuf Al Shaibani, director general of EIAST. The post Mitsubishi Heavy Industries to Launch KhalifaSat for EIAST appeared first on Via Satellite.